Curcumin is basically the main active ingredient in the herb of turmeric. It has powerful anti-inflammatory properties and is a very strong antioxidant. Turmeric is known to be one of the most widely used herbs by mankind, offering culinary, medicinal as well as cosmetic benefits. The wide range of applications and benefits of the herb of Turmeric dates way back to the ancient Vedic culture of India. Till this day, its users swear by the remarkably large number of benefits that this super herb has in store for us. Basically, Turmeric is derived from the root of the herb of Curcuma longa and has long been referred to as the ‘Indian Saffron’. No doubt, it symbolizes purity, prosperity and fertility – all at the same time. Along with a mild and somewhat familiar fragrance, it has a bitter and warm flavour to offer. Turmeric has also successfully managed to bag a special place of its own in the cosmetics industry due to its unique chemical composition that offers the users of turmeric-containing creams and body-scrubs, a glowing and healthy skin. Furthermore, people the world over in the textile industry are using turmeric as a major dyeing product. 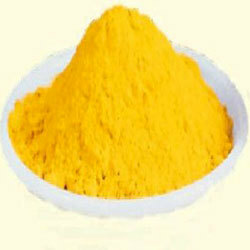 In fact, people often refer to turmeric as one of the major ‘colours’ nowadays, just like mustard and orange. Thanks to its anti-inflammatory and anti-septic properties, Curcumin has since long been used as a traditional home-remedy to cure the related maladies. By applying a paste made by mixing and warming a pinch or two of turmeric powder and mustard oil on the wound, and having a warm glass of milk with a pinch of turmeric in it, does the trick. Wounds, swelling and sprains are largely healed by this method. It does so by boosting the neurotropic factor derived from our brain, and improving the brain function. A large number of brain related diseases have been observed to be reduced due to the exceptional restorative benefits of Turmeric. Curcumin, being a potent antioxidant and anti-inflammatory agent, addresses the endothelial dysfunction in our body, thus improving its ability to regulate our blood pressure and also blood clotting. Research suggests that in the near future, there are chances of curcumin being used in the treatment of cancer especially that is related to our digestive system. The consumption of curcumin essentially leads to about molecular-level changes in our body, an observation that can make curcumin a major compound that curbs the growth of cancerous cells in our body, as well as combat the existing ones. The therapeutic value of curcumin present in turmeric offers obstinate shield of resistance to the body against various diseases. By suppressing the presence of various obesity-causing cells in our body, Curcumin amazingly helps us in keeping a check on the growing fat on our body and is thus effective aid in case of overweight and obesity. By curbing the growth of various diseases in our body, curcumin has managed to gain popularity as a great supplement for anti-ageing. Its consumption considerably increases the body’s very own antioxidant producing capability, thus slowing the aging process and warding off various diseases. Curcumin, by acting as an effective antidepressant, offers promising benefits in stress relief as well as supports in curing the symptoms of depression. Turmeric has a nutrient-rich profile and is a great source of iron and manganese, apart from having reasonable potassium, dietary fiber and vitamin B6. It has amazingly zero cholesterol and almost no calories. It thus offers a host of healing benefits and natural healthcare remedies to our body as well as our brain. And therefore, in the traditional systems of medicine, turmeric has been used as a powerful anti-inflammatory agent since ages. Turmeric, however, owes most of its medicinal value to the presence of a compound called curcumin, which is actually the main active ingredient in this herb. The compound of Curcumin from the natural herb of Turmeric is one of the most effective nutritional supplements offered by nature to mankind. In fact, the list of benefits offered herein is only a tip of the iceberg. The turmeric advantage has surprisingly shot past some of the highly acclaimed pharmaceutical products developed by the modern science. In fact, of late, even the medical studies and research have suggested, with proof, that this particular herb has some remarkable medicinal properties that come naturally to it, which can magically help us in preventing as well as curing so many of everyday and moreover some of the chronic and severe diseases.